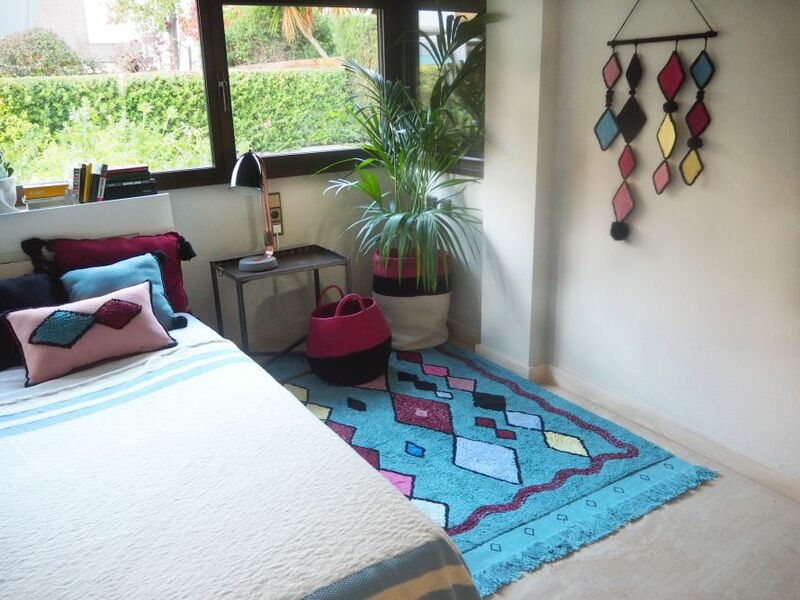 The Draa region has inspired this model from the Morocco collection! 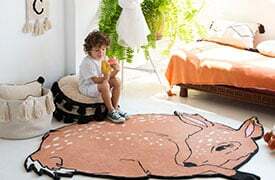 100% cotton, washable rug, which can be machine-washed (8 kg capacity). Base dyed in petroleum. The main color (petrol blue akso named petroleum) has been woven onto the base using the loop technique, in contrast to the burgundy, ash rose, pink and lemon rhombs, which provide different textures and sensations. 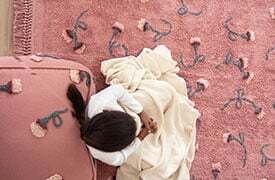 The two ends of the rug feature the rug base into which cotton yarns have been stretched to create a hand-made, rustic fringe. The resulting design has personality, perfect for an up-to-date, modern style, whether it\'s for the living room, dining room, bedroom or kids\' room. 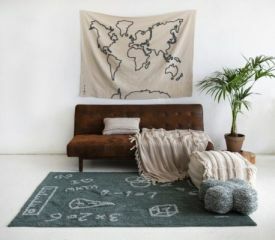 Hand-made by craftsmen, natural dyes have been used, and, as it is 100% cotton, it is light and soft. Discover the baskets, cushions and matching blankets.